Mayor Emanuel and Chicago Park District General Superintendent Michael Kelly joined 17th Ward Alderman David Moore and members of the Englewood community to announce the new state-of-the-art, all-weather eight lane track and athletic turf field at Ogden Park, 6500 S. Racine. This marks the 36th field constructed in neighborhood parks under Mayor Emanuel’s Building On Burhan plan. 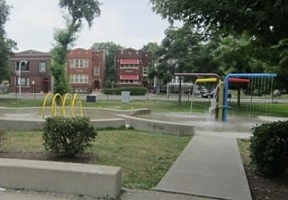 Ogden Park was originally designed by renowned architect Daniel Burnham as one of ten parks constructed to provide relief in Chicago’s overcrowded tenement districts. The park, which totals more than 60 acres, features a gymnasium, fitness center, boxing gym, dance studio, and a multi-purpose room. 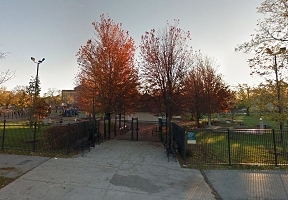 Ogden Park also features a nature garden, three playgrounds, a carousel, walking track, swimming pool, baseball diamonds and basketball and tennis courts. Since 2011, 1,000 acres of parks have been acquired and 5.5 miles of riverfront access have been developed, and more than $1 billion in capital investment from neighborhoods and private sources have been made to expand Chicago’s park system.